Carlo has been a leading voice in debates on recent Canadian free trade agreements and development of trade infrastructure. The bad news for these SMEs and the country as a whole is that the current state of unrest with the U.S. is likely to be the new normal going forward, including beyond the current administration. Firms of all sizes are going to have to invest more time, effort and money, simply to hold on to what they currently have in the U.S., never mind to grow. The good news is that while trade with the U.S. has gotten harder, trade elsewhere has gotten easier, in particular in Europe and parts of Asia. 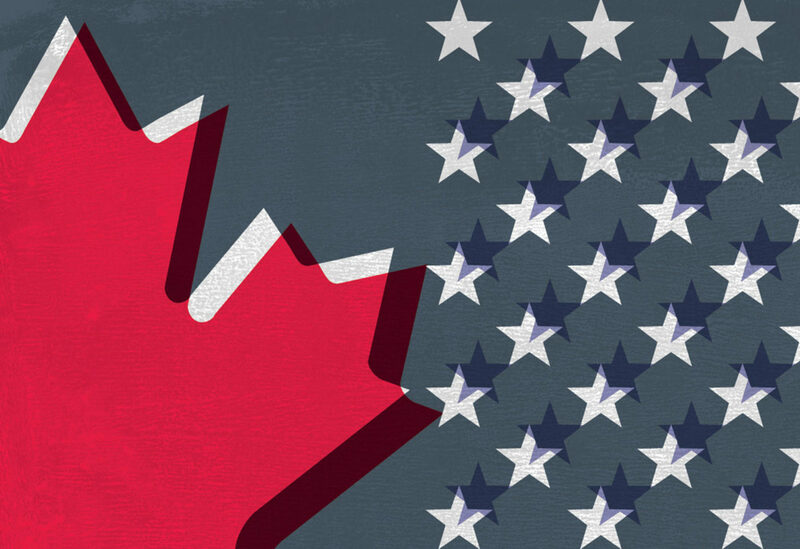 Far from being hamstrung by the U.S., Canadian businesses can take numerous creative and concrete steps to survive – and even potentially prosper – through the current challenges. Smaller firms will need more help to pursue opportunities abroad, maintain market share in the U.S., and improve trade between provinces at home. But more help does not mean simply throwing more money at traditional approaches. Canada faces new challenges in the U.S. and abroad. We need to take a close look at how we do trade promotion and assistance programs for small businesses in different markets, try new things – and take some risks. Though “Trump” is synonymous with the current upheaval, Canada’s troubles go beyond the U.S. president, and as a result will linger beyond his administration. • Trump has let several genies out of the bottle when it comes to norms and traditions that have constrained past actions by a U.S. president. The clearest example is his use of the national security provisions (Section 232) in the 1962 Trade Expansion Act, which is referred to by trade scholars as “the nuclear provision” of trade remedies. In the 56 years since the law was enacted, 30 investigations (the precursor to levying tariffs) have been launched by a U.S. administration, or an average of one investigation every two years. So far, Trump has initiated four Section 232 investigations in his first year in office. Only eight times since the law was enacted has action been advanced; this president has already implemented tariffs once and is threatening to do so again.² Section 232 investigations are intended to determine if lack of production of a good in the U.S. is a threat to U.S. security and if so, to then raise tariffs across the board to force production of the good in the U.S. to rise. Trump has taken this a step further; once tariffs are imposed across the board, he is then approaching individual countries – friend, foe and otherwise – and offering to exempt them from the tariffs in exchange for concessions to the U.S. in other areas. This is essentially a shakedown, which is bad to use against adversaries and worse to use against allies. Already, Trump’s use of Section 232 tariffs on aluminum and steel have put traditional U.S. allies like Canada, the EU, Korea, Australia and Mexico in the line of fire. Until Congress rewrites the 1962 trade law, this and any future president will be free to follow Trump’s “innovation” and continue to use Section 232 and similar laws at will. NAFTA will not protect us from this. • There is a fundamental shift in the U.S. political landscape that will make our relationship more difficult. Rising extremism is both parties makes compromise in Washington, D.C. more difficult; issues involving Canada will inevitably get dragged into this morass. Congressional leaders like John McCain, Jeff Flake, Bob Corker and others may well be replaced by Trump supporters. Worse, when these issues do hit Congress, Canada has no more allies on the traditionally protectionist Democratic side than any Trump-supporting Republicans. With our focus on Trump and a newly nativist Republican Party, it is easy to forget that the first and enduring challenge to liberalized trade in the U.S. has been from the left, not the right – and that opposition is growing and hardening as well. All of this signals that the U.S. will likely remain a more difficult market for Canadian business going forward. While trade with the U.S. has become harder and will continue to be challenging, trade elsewhere is getting easier for Canadian firms. Canada has signed new multilateral trade deals with Europe and the Pacific Rim. These agreements essentially give Canadian firms two new NAFTAs. Like NAFTA, the agreements give firms one set of rules to sell goods and services to multiple countries – 28 economies in the case of the Canada-European Union Comprehensive and Economic Trade Agreement (CETA), and 10 economies in the case of the Comprehensive and Progressive Agreement for Trans-Pacific Partnership (CPTPP). in other CPTPP markets. What Canadian firms could do with the two partners in NAFTA they can now do with 28 partners in CETA and 10 partners in CPTPP. All this, with better, more modern rules than in NAFTA. While Canadian businesses can move forward with these new agreements, U.S. competitors are locked into only having a backward-moving, watered-down and much more restrictive NAFTA under Trump. Canada’s new agreements are huge improvements over the more modest string of bilateral agreements previously signed with smaller economies like Honduras and Ukraine. These agreements go beyond lowering tariffs, and tackle non-tariff issues that frustrate business daily. As any business that sends large numbers of personnel across the U.S. border can attest, entering the U.S. is getting more difficult. It may now be easier for Canadian firms to move workers to and from markets around the Pacific Rim and Europe than to and from the U.S. Even though trade with the U.S. is more difficult for Canadian firms, businesses here still have a leg up over firms in any other country, with advantages including geographic proximity, cultural similarity, and complacency on the American side of decades of integrated supply chains and inherited business of buying and selling with the country next door. In addition, Canadian firms benefit from a series of agreements, initiatives, working groups and access to state and local officials that are unique to Canada. Things that are not part of NAFTA like the Free and Secure Trade program (FAST), the NEXUS trusted traveler program and the Regulatory Cooperation Council (RCC) that harmonizes standards and regulations between the U.S. and Canada all give Canadian firms advantages in the U.S. that no competitor enjoys. Canadian federal and provincial governments provide a vast array of trade export promotion assistance for small- and medium-sized enterprises. Exporters in Quebec, Ontario and Alberta have access to provincial government staff stationed in foreign markets, in addition to federal trade officials. Exporters also have access to extensive trade assistance at the local level with programs through the World Trade Council affiliates across Canada, which have launched intensive SME exporting “boot camps.” This type of assistance has been sorely underused – now is the opportunity for many SMEs to discover these resources. One market that has not seen improvement for Canadian “exporters” is the one at home. Canada is one of only a handful of sovereign states where provinces have to sign free trade agreements, in Canada’s case, the New West Partnership and the Agreement on Internal Trade, to facilitate movement of goods and people within their own country. In a damning 2013 study, University of Calgary economist Trevor Tombe found that between-province trade costs average 30%, rising to nearly 50% in poor regions. Eliminating inter-provincial trade barriers would increase productivity by over 8% for Canada as a whole, wiping out about half the productivity gap with the United States. Cutting all internal trade barriers would be better than cutting remaining global tariffs that Canadian exporters face by 20%. These agreements (CETA and CPTPP) essentially give Canadian firms two new NAFTAs. The U.S. remains the richest market for Canadian exporters, and firms will continue to go there, despite difficulties. But they will need more help than in the past. We can no longer take the U.S. market for granted, so the U.S. must remain the first focus of Canadian trade promotion and support. Resources to enter other markets must be a net addition to Canadian trade promotion resources after needs in the U.S. are addressed. In our rush to “diversify” trade in response to recent shocks from the U.S., this cannot be overlooked. This is a real danger as “trade diversification” becomes as much a political slogan as an economic imperative. A good guiding principle is that our goal in trade diversification is to see the rate of growth of our exports to the rest of world exceed the rate of growth of our exports to the U.S.
It’s clearer than ever that Canada must open internal trade. If the easiest market for Canadians is the U.S. or China but not Canada, then the country has a serious problem on trade and economic growth. We – the federal government and all provincial governments working together – must take this opportunity to renew the push on lowering barriers to domestic trade. To take advantage of our two new multilateral trade agreements, CETA and CPTPP, exporters need help and resources with issues that they did not face with simple, more modest bilateral agreements. Changes include shifting supply chains and forming partnerships with firms from countries other than the U.S. But it is crucial to get the right kind of help to match these new challenges rather than simply spending more money. For example, many firms have structured business on buying inputs from U.S. firms to make products that can be sold back into the U.S. Depending on the amount of U.S. input, these products may not qualify for entry into CETA and CPTPP markets under the rules governing those agreements. But, should firms switch to Mexican suppliers this would not be an issue for the CPTPP. Firms could continue to sell to the U.S. under NAFTA and to CPTPP markets as Mexico is a party to both agreements. Should Canada and Mexico ever move to link their separate agreements with the EU, the same advantage would apply. While shifting supply chains to Mexico will not be easy, it will be easier than most other markets. Like Canadian firms, Mexican exporters are staffed for and experienced in selling to and working in the U.S. market. Mexico is the largest trading partner of several U.S. states and metropolitan regions like Detroit; if U.S. firms in Detroit can integrate Mexican producers then Canadian firms can as well. Canadian firms and the government certainly have their work cut out on multiple trade fronts. But this is in part a good thing because it reflects the tremendous opportunity that businesses and the country have in the two new de facto “NAFTA plus” agreements, the CPTPP and CETA. Realizing the full potential in the NAFTA agreement was not something that happened overnight; it took time, attention and purpose. The same time, purpose and attention will be required as we seek not to abandon the old NAFTA but to build on the advantages we have in the U.S. and add to them in Asia and Europe.